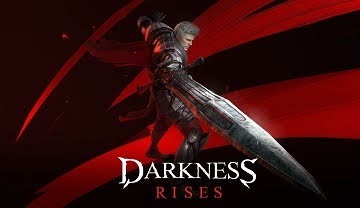 Here'a a skill build and combo patterns for players playing Warrior class in Darkness Rises, a hack and slash action adventure Android and iOS mobile game. Warrior - A knight who performs dynamic and dazzling attacks with a longsword. Wields a variety of skills to be a balanced, versatile fighter. - Low base damage output but this is the perfect skill for our DPS type Warrior. It's short cool-down will allow us to use combo skills every 8~6 seconds, increasing the skill's DPS potential! - Note: Do not spam all 3 skills below, just alternately use Savage Pounce and Breaching Blade Aura, together with Tornado Slash. Unless you need 1 more skill to get the win. - Use Savage Pounce to close the distance, then quickly use Tornado Slash. - After this combo, wait for your Tornado Slash to cool-down, then use the next combo below. - If you are close enough, you can do some quick AAs before Tornado Slash. After this combo, wait again for cool-downs and use combo 1 above. - Honestly, this is the best way that you can use this stun skill without worrying about it's long cool-down. - Learn how to use and connect your initiator skills, anticipate enemy movements, and bait attacks to open up opportunities. The best part is, even if you miss one, you still have a chance to connect your Tornado Slash. - One way is to move until you see the opponent right at the edge of the screen, then quickly move forward for a few steps then execute. - Both skills can also be used right after the enemy dashes or use any skill, just time it well. - You might be thinking of using this as an alternative to Tornado Slash, because it has higher base damage and Attack reduction debuff, but I would suggest that you skip it, because it will lower your DPS (3 seconds difference, do matter as the battle prolongs). - For now, only focus on few skills first during early to mid game for all around use, to maximize your Skill Points. 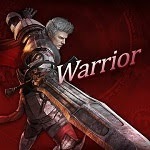 - Warrior's auto attacks are decently fast, unfortunately you don't want to stay long if there are enemies nearby. Dash in and out of battles to avoid getting huge damages. 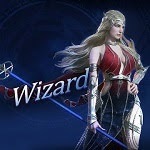 - Tornado Slash is also an AoE skill, nice when charging into group of enemies! Just watch it though because this skill will push away targets, so just time it well and don't push enemies that your teammates just stunned for example (unless you can pin them to walls, then it's ok). - Note: Do not spam all 3 skills below, just alternately use Savage Pounce and Breaching Blade Aura, together with Tornado Slash. Unless you need 1 more skill to get a kill. - Savage Pounce have an extra Slow Debuff effect, also nice for team play, chase low HP enemies and do some AAs after the combo. - You can also do "Ring Out" plays with this one, stun enemies that are near the edges of the map, then quickly position your character and use Tornado Slash to push them out of the ring. 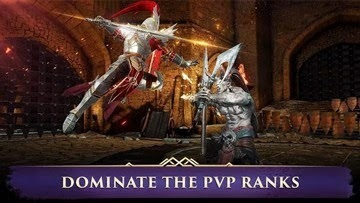 - With this skill set, your Warrior is now an all around balanced fighter! 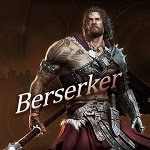 - The main problem with Warrior skills is that most of them will push targets which is not ideal for 3 Skill Combo Nukes. For now, I would highly recommend the build above, especially for beginners. - Use Savage Pounce and Crescent Cut as your 2 skills combo. 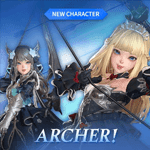 - Flash Lance is your high DPS single skill, use every time it is available! It has decent range, making it easier to connect, and Defense Reduction debuff - a nice addition for team play. - 3 Skills Combo Nuke: Flash Lance > Savage Pounce > Crescent Cut > AA. 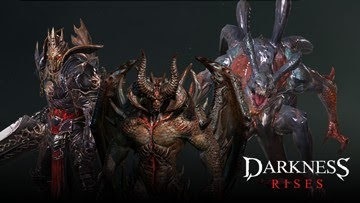 - Only if all 3 skills are available, gives a nice DPS and Nuke damage! 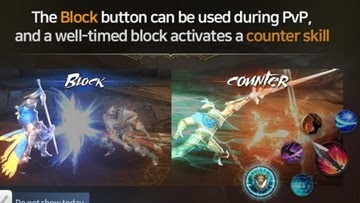 - Pros: Combos are Easier to Connect, Good overall DPS (short animations too), and can do 3 Skills Combo Nuke! - Cons: No Stun, Pushes targets so be careful. 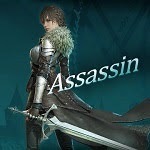 - Use Crescent Cut and Frost Sword Aura as your 2 skills combo. Both have nice AoE range so it's easier to connect, and will give you a chance to nuke out those spinning Berserkers for example. - You can also use them separately if needed. - Flash Lance: Same as above, also works well with your ranged skills. - Pros: Good overall DPS (short animations too), AoE skills that can go through walls. - Cons: No Stun, Harder to Connect but still doable, Pushes targets so be careful. - Notable DPS for PVE, no need to upgrade Soaring Thunder early game if it is only used for PVE, but do upgrade if you need more fire power for PVE, and once you get extra skill points, cap them to Lvl 9~30 first (multiples of 3). - Max Tornado Slash to increase Damage Output and decrease Cool-down. - Max Breaching Blade Aura to increase Damage Output and decrease Cool-down. - Only upgrade Frost Sword Aura if you need more fire power for PVE and once you get extra skill points, cap to Lvl 9~30 first (multiples of 3). Max later if used for Team PVP (check Team PVP alternative builds above). - Replace with Crescent Cut + Flash Lance late game, but upgrade to higher levels first. - Upgrade Venom Frenzy if you need more damage for PVE, but also cap to Lvl 9~30 first (multiples of 3) to save up SP for your Main Skills. - Max Savage Pounce to increase Damage Output and decrease Cool-down. 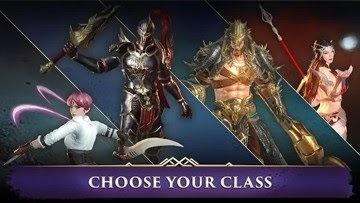 - Please note that this is not the only way to play Warrior, also try other skills as well since you can max them all in the end.